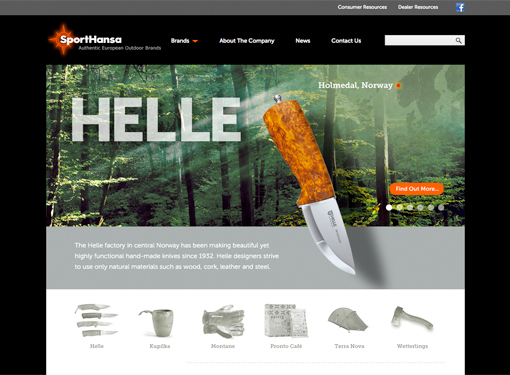 Sport Hansa, founded in 2010, is an importer of six niche European outdoor product lines, supplying over 300 retailers. Owner Matt Huff needed a website that would serve as not only an attractive marketing tool to add more retailers, but also an information hub between retailers and his company, which could provide those retailers with such items as image files, price lists, and trade show dates. MarketDigita's solution was a custom WordPress design with a password-protected retailer section. "Marketdigita was amazing...We highly recommend Marketdigita! They charged a fair price, they listened and they created a great, usable site for us that our customers love."